Sounds disgusting, right? But much like the spinach cupcakes, they were actually pretty good! Since I committed to creating one meal and one dessert for each seasonal crop in North Carolina this year, I was again at a bit of a loss for broccoli. 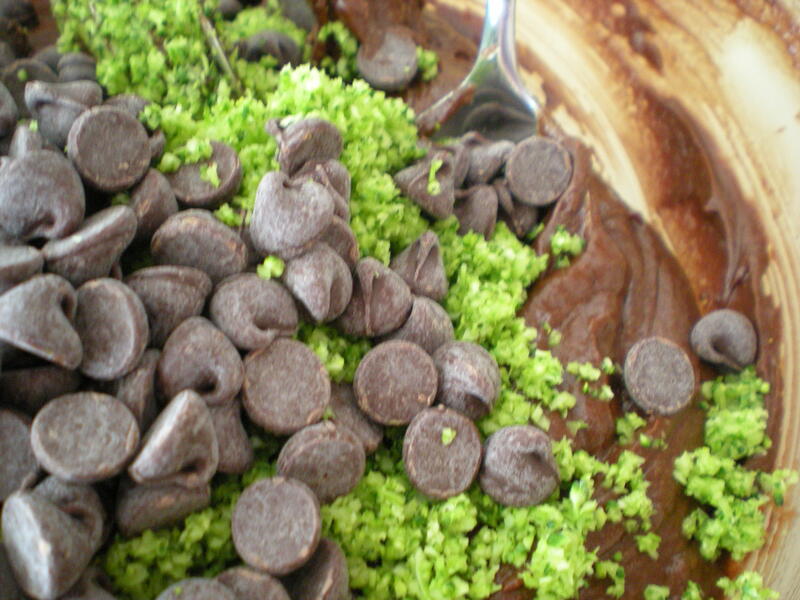 I Googled “broccoli dessert” and had very little success with fitting results. A search for “Broccoli cake” turned out a little better. My favorite result was this Broccoli Forest Cake, which I may have to try out one day. But from reading the recipes, I wasn’t quite convinced that any of my findings would be sweet enough if I truly focused on the broccoli. So instead I decided to pull another Jessica Seinfeld and just hide that broccoli in a delicious dessert. Brownies it is. 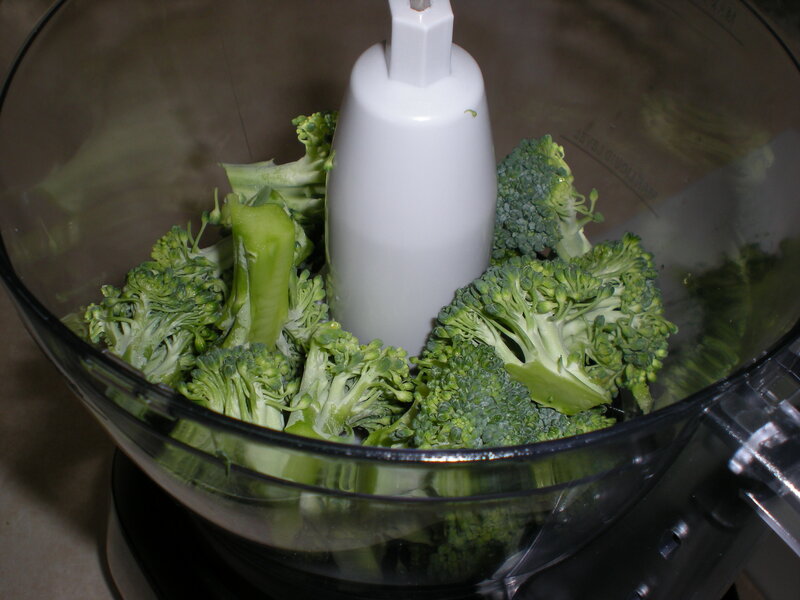 I started off by pureeing fresh broccoli florets in my food processor (best kitchen purchase EVER). 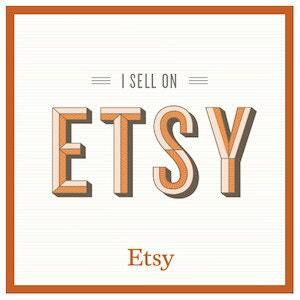 It resulted in a consistency kind of between powder and sand. I pureed enough to make 3/4 to 1 cup broccoli and set it aside. I preheated the oven to 350 F and got to work on my batter. 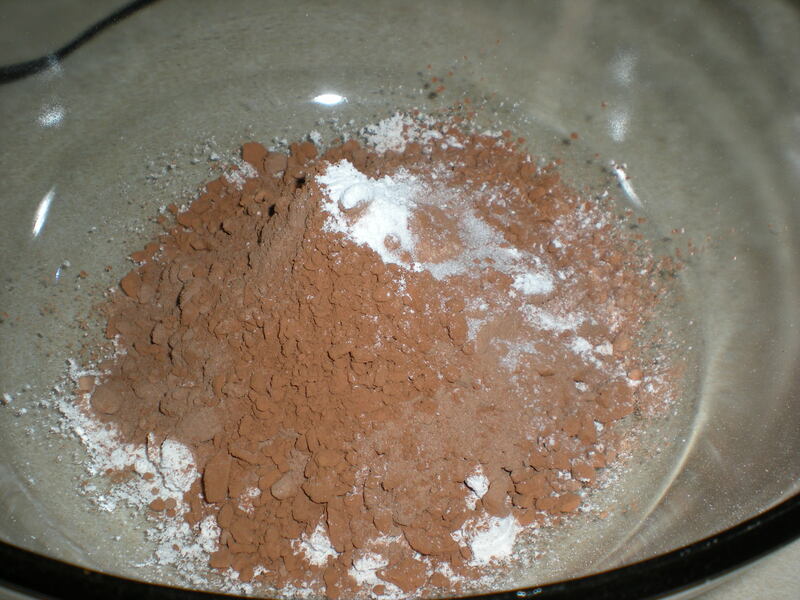 In a large bowl, I whisked together the dry ingredients: 3/4 cup flour, 1/2 cup cocoa, 1/2 teaspoon baking powder, and 1/4 teaspoon salt. 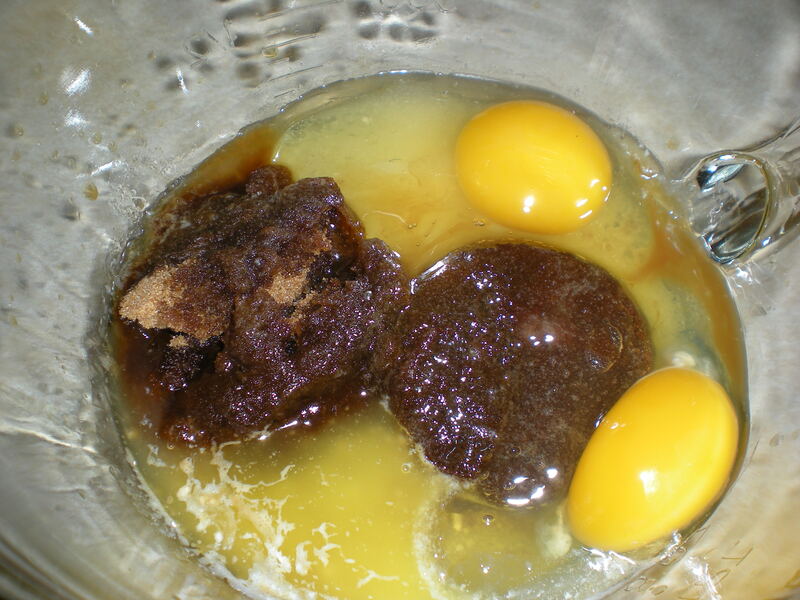 In a separate bowl, I combined 1/4 cup (1/2 stick) melted butter, 1/2 cup sugar, 1/2 cup packed brown sugar, 2 eggs, and 1 teaspoon vanilla. I stirred it by hand till it was just blended. 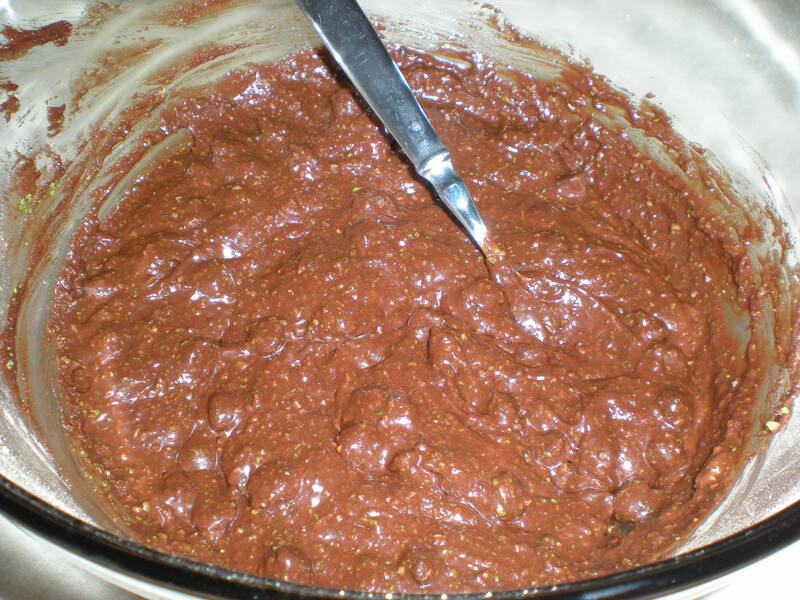 Then I slowly added the wet mixture to the dry mixture, stirring by hand till it was just blended. Last, I stirred in the chopped broccoli and 1/2 cup dark chocolate chips. I greased an 8×8 pan and poured the batter in evenly. I baked the brownies for about 25-30 minutes. When you poke it, the brownies should indent just slightly. I let it cool in the pan before I cut it into slices. 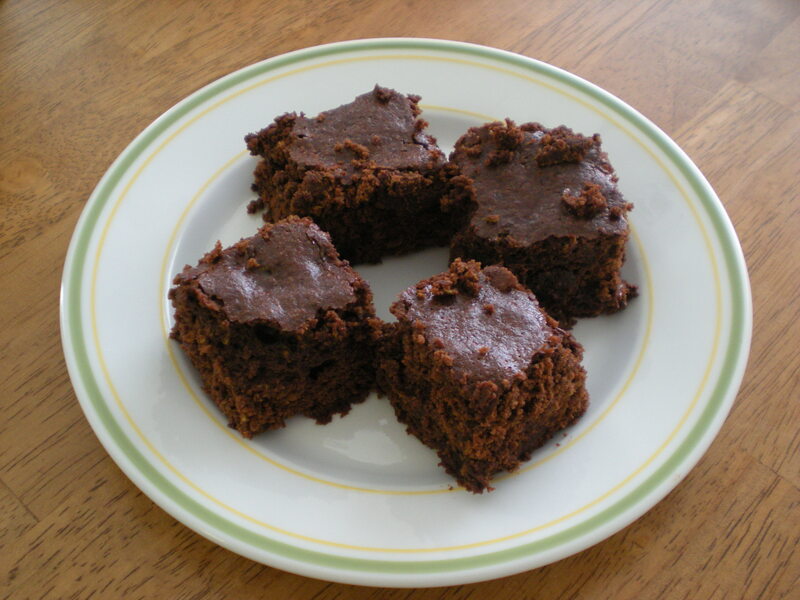 Since the broccoli was pureed super fine, these look like normal brownies. You can’t see any green at all, just chocolate. Perfect! Everyone who actually tasted them really liked them. I’d say about half of my tasters thought they were good and didn’t have any comment at all. The other half thought they were good, but did ask something like, “Hmm… this is good, but what is that?” They couldn’t quite place what they were tasting, but they did like them. For a couple people, including my 16-year-old drama queen of a sister, the thought of broccoli was too much of a barrier. She ate the first half of it just fine and told me it was delicious, but when I told her there was broccoli in there, she refused to eat the rest. My brother was a similar story. I think they were being babies, but it was a good lesson: just don’t mention the broccoli at all. Definitely take the time to completely puree the broccoli. If you don’t have a food processor, go get one. I got mine at Walmart for 30 bucks. 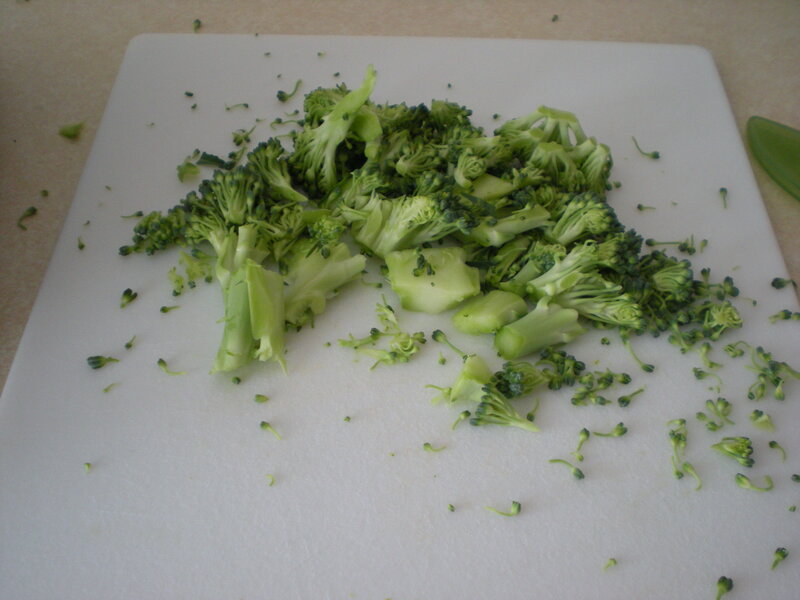 The broccoli is pureed so small that you can’t taste or see it. It barely alters the flavor, and it doesn’t affect the texture at all. I thought they were very tasty, especially with the chocolate chips added in for good measure. I just tasted chocolate. But similar to the spinach cupcakes, though they tasted relatively normal, they did have a bit of a funky smell to them. Store them in an airtight container to keep them moist, but open the container and let them air out a bit for a few minutes before you serve them. If someone gets a whiff of these as soon as you open the container, they may not be willing to taste them. A perfect dessert for picky kids and spouses who aren’t getting enough vegetables in their diet! If you would rather incorporate zucchini instead of broccoli, follow the same method, but increase the amount of flour to 1 cup to balance out the extra water content. Mmmm… I love broccoli & I guess the goodness of the broccoli cancels out the naughtiness of the chocolate. I would never have thought of using broccoli in such a way. Your blog came up in my related articles listings on one of my posts at T.M.Comics.